Ready to make Six figures? If you’re a detail-oriented and motivated entrepreneur, you need to learn the innovative and highly profitable business of Scalp Micro Pigmentation. 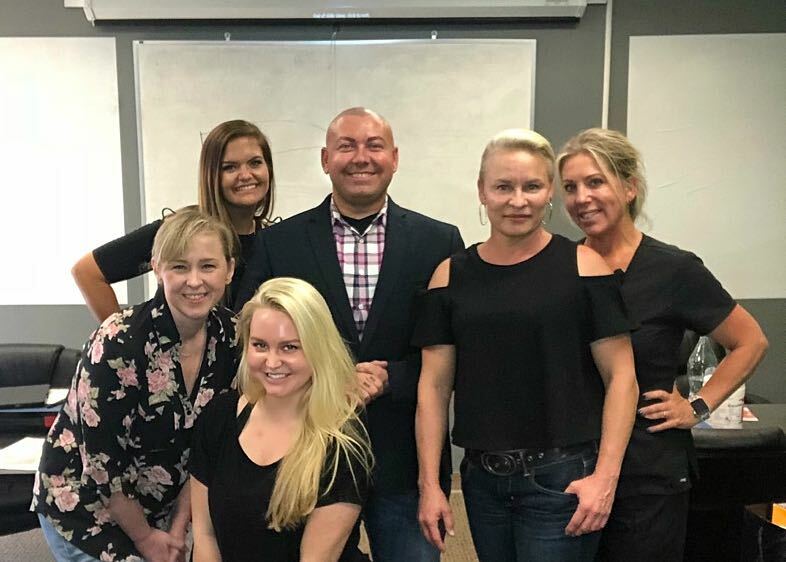 Whether you are a permanent makeup artist, aesthetician, barber, hair stylist, or entrepreneur planning to do Scalp Micro Pigmentation as a stand-alone career, SMP can be your path to earning a six-figure annual income. Trainer James Lucas will travel to your location. You’ll learn in the comfort of your own environment, without having to lose valuable work time. Our hands-on, extensive training program will get you trained, certified, and ensure you feel confident in your abilities – in as little as two days. As an added bonus, you will receive our Density Dream training. This is typically a unique, separate training course specifically for female SMP. We will bundle it into your training for added value. I was looking to add a new service to my salon. What really attracted me to James was that he traveled all the way to my location. I didn’t have to sit in a classroom and wait my turn to have questions answered. He’s a great teacher, I got a beautiful machine, I got certified in 3 days and he still checks up on me to make sure I’m doing ok.
James came to my studio in Alabama and did an advanced scalp micro pigmentation training course with me over 3 days. (I have 13 years experience in micro pigmentation.) It was very comprehensive and I felt fully ready to offer this service after this training. He was knowledgeable, helpful, and I enjoyed working with him. I have had two great training experiences with James Lucas. He is informative, detailed, professional, and passionate about his work and about teaching others. I am not only impressed by his work and training but also his business knowledge, which I have applied to my career every day. I have always left his class motivated and excited. A Crown highly-trained practitioner utilizes meticulously-designed colors and a unique application method to mimic hair follicles in the scalp. The procedure is a completely non-intrusive treatment and requires no surgery whatsoever. Our procedure boasts vastly lower costs and much lower risks compared to alternative hair replacement medications and practices. Scalp Micro Pigmentation is the frontier method of cosmetic pigmentation treatment. Scalp Micro Pigmentation is an extremely intricate procedure with a guaranteed result. The quality of your Scalp Micro Pigmentation treatment depends on two things: Using the most up-to-date equipment, and getting your treatment from the most skilled and experienced Crown practitioner. At Crown Scalp Solutions, we use the most advanced technology in the industry to ensure you receive a consistent appearance across afflicted areas with flawless results.